I saw this on Black Eiffel yesterday and thought it was SO COOL! It's an art installation consisting of the facade of a building which is on the ground and an adjacent mirror reflects the illusion that you're crawling all over and hanging from it. I want to go! and not just because it's in Paris. 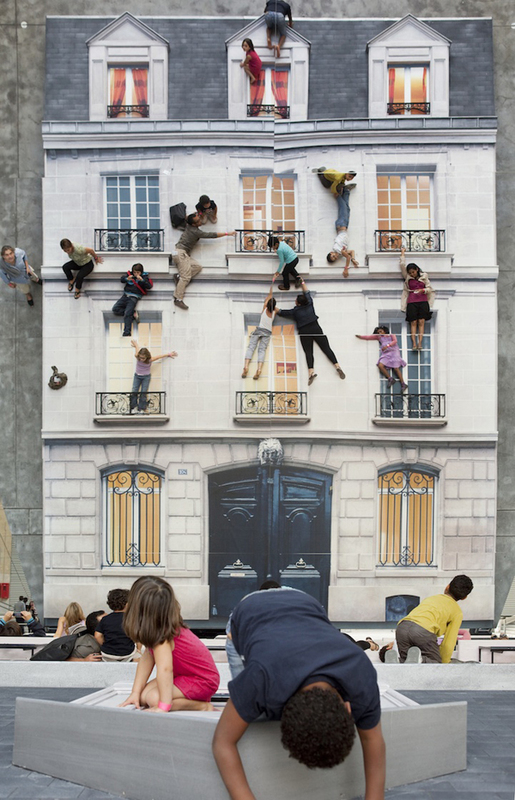 By Leandro Erlich, on display at Le 104, Paris. Here's a video about it too.